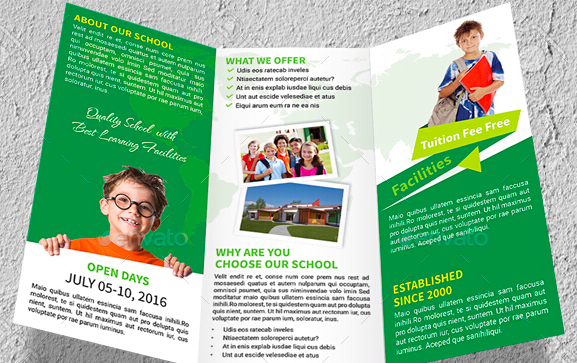 Having a good school brochure design is important, not just for creating interest among parents and students, but also to create a good reputation of your school outside. Who is the principal of the school? How many teachers are a part of the institution? What all extra curricular activities take place in the school? How is the building of the school? And so on. Some of the questions that form a basic part of parents’ worries are answered through this brochure. And the content is not the only thing that is being noticed here. 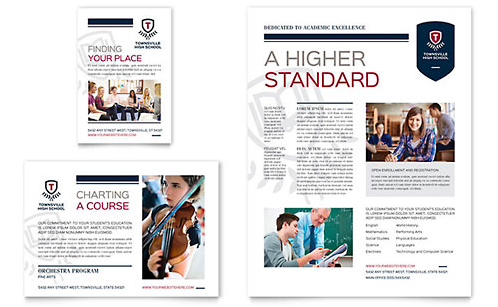 How the school brochure is designed also brings some importance. 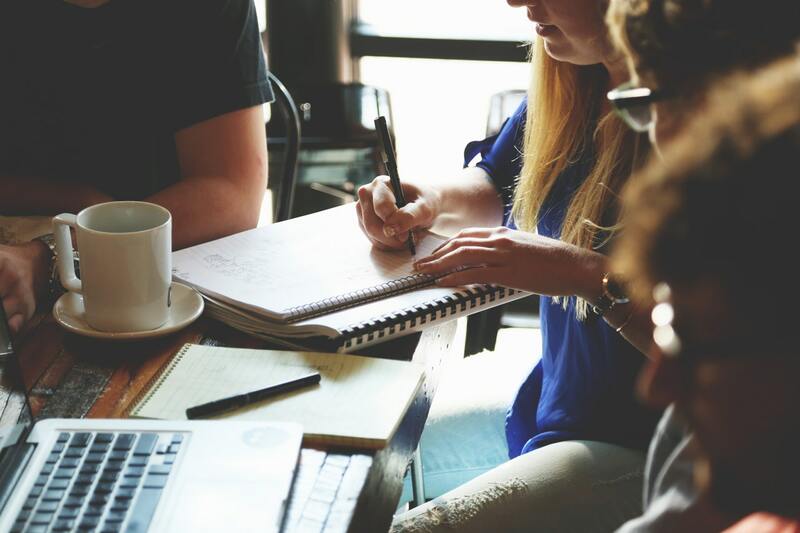 But if you are really worried about the cost of printing such brochures, there is this company in USA that offers cheap brochure printing with shipping. You can also find out such good options in your own vicinity and get a good brochure printed for your school. 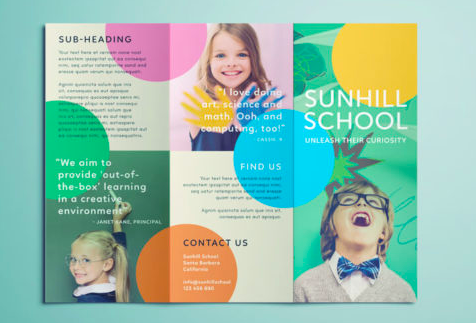 Here are some school brochure design tips that would help you make a perfect brochure to show the parents. Cover all basic questions that can arise in parents’ minds. Some of the questions have been listed above too. The language should be simple and easy to understand by the parents. Go step by step, based on the priority. For example, mention about the principal first, then the teachers, and so on. 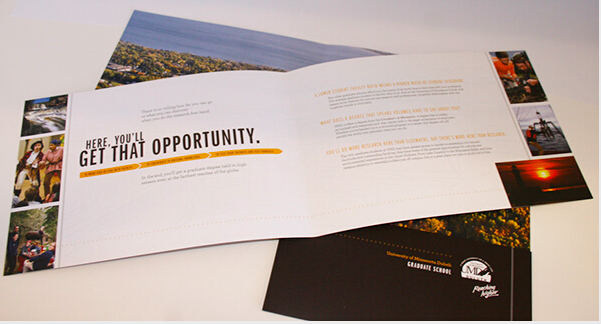 Create a brochure keeping in mind Digital as well as Print format. 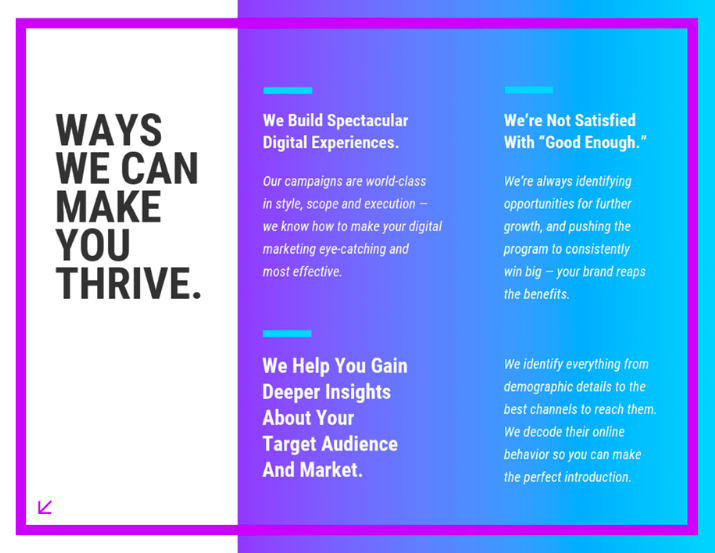 Use font that is easy to read and understand. Do not go stylish everywhere. Use image frames for your images. And so on. 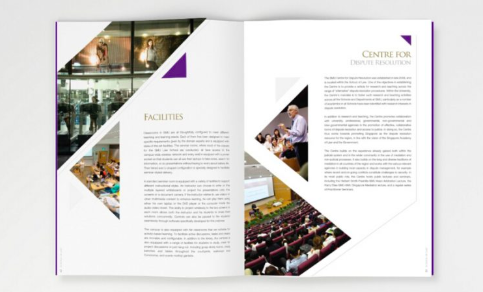 These are some of the tips to help you out in school brochure designing. Let’s now look at some of the sample pages of a school brochure.